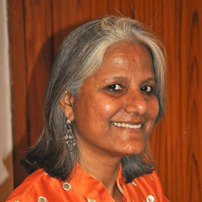 Chitra Jha is a Holistic Healing Coach, who has authored four books. Chitra has been grounded in Allopathic, Homeopathic, and Ayurveda principles. She has also mastered the art of Reiki, past life regression, inner child work, re-birthing breath work, emotional freedom technique, family constellation, trans-generational healing, and non-violent communication.